Kelsey Jarvis – Counselling + Consulting – Helping you cope with care. HELPING YOU COPE WITH CARE. Do you ever feel disconnected, dissatisfied or simply down in the dumps? Do you ever question why these feelings are reoccurring? Regrets about the past and worries about the future are common experiences for many, which is why I help my clients to uncover the deeply unique thoughts and feelings that can get in the way of experiencing satisfaction and fulfillment in the present. If this sounds like you, you are not alone; together we can create a safe and trusting environment to help support you as you explore those areas of life where you feel stuck, unmotivated and inadequate. Where you are is not who you are; change is always possible! Kelsey is a Registered Clinical Counsellor (no. 12584) with a Master of Arts degree in Counselling Psychology from Adler University. Kelsey believes that counselling is an ever-changing practice and takes pride in her commitment to developing a unique and collaborate relationship with each and every client. Guided by a variety of approaches, Kelsey strives to help clients live life to the fullest and always stands by her mission of Helping You Cope with Care. Kelsey obtained her Bachelor of Arts in Anthropology and Psychology from Western University in London, Ontario. She then went on to achieve her Master of Arts in Counselling Psychology at Adler University in Vancouver. As part of her master’s requirements, Kelsey completed a practicum at LifeMark Health, working as a clinical counsellor for the Pain Management Program. During this time, she was able to further her skills in individual counselling, group facilitation, and mindfulness meditation training. Throughout her schooling, Kelsey continued to work at a personal injury law firm and developed an interest in counselling individuals coping with pain, injury and related stressors. In order to pursue this interest, Kelsey began working as a clinical counsellor for an Occupational Rehabilitation program, where she assists clients throughout the rehabilitation process on a part time basis. Additionally, Kelsey founded KJ Counselling and Consulting to offer private counselling services to a wider range of clientele, including, but not limited to, pain management. Outside of counselling, Kelsey enjoys spending time with friends and family, taking spin classes and cooking. Kelsey is a strong believer in the mind-body connection and the benefits of physical activity and emotional self-care. Through our therapeutic work, you can expect to develop an increased understanding of yourself and your stressors, as well as develop healthy ways to manage the daily struggles that can make us feel unmotivated, unsuccessful and unhappy. Together, we can address the self-protection behaviours that no longer serve you. 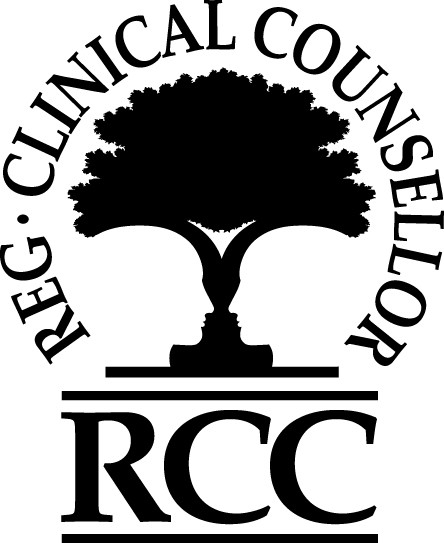 All counselling sessions include a free 15-minute phone consultation prior to the initial appointment. Kelsey offers flexible hours including evenings (subject to availability). as such, save all therapy-related issues for in-person meetings. · Call 911 for help right away, or go to your nearest hospital emergency room. · Call 1-800-SUICIDE (1-800-784-2433). If you are thinking about ending your life or are concerned about someone who may be, you can call for help any time of day or night, from anywhere across BC. It’s a free call. Canadian Mental Health Association (BC Division): Visit www.cmha.bc.ca or call 1-800-555-8222 (toll-free in BC) or 604-688-3234 (in Greater Vancouver) for information and community resources on mental health or any mental illness. Kelty Mental Health: Contact Kelty Mental Health at www.keltymentalhealth.ca or 1-800-665-1822 (toll-free in BC) or 604-875-2084 (in Greater Vancouver) for information, referrals and support for children, youth and their families in all areas of mental health and addictions. The Alcohol & Drug Information and Referral Service: Call 1-800-663-1441 (toll-free in BC) or 604-660-9382 (in the Lower Mainland) to find resources and support. They can refer you to services across the province.